So you’re on the move? Moving can be stressful enough without having to sort out new broadband, home phone and TV services, too. Let’s see what we can do about that, shall we? Is Virgin Media available where I’m moving to? Enter the postcode of your new address to find out. Moving but thinking about leaving us? Why not chat to an agent to see how we can help, or contact us by phone on 0345 141 0111. Moving but thinking about leaving us? Why not call us on: 0345 141 0111 to see how we can help. The Virgin Media network does not cover all of the UK. If you move to a property outside our network area during your minimum period, you may have to pay an Early Disconnection Fee for ending your contract early. We'll let you know if a charge applies. For more details about our Early Disconnection Fees, please visit here. We hope you can join us again in the future. In the meantime, you’ll need to let us know about your move. The easiest way to do this is to chat to an agent to see how we can help you get disconnected, or you can contact us by phone on 0345 141 0111. We'll need to know at least 30 days before you're moving out. We'll let you know if a charge applies for ending your contract early. We hope you can join us again in the future. In the meantime, you’ll need to let us know about your move. The easiest way to do this is to give us a call on 0345 141 0111 to see how we can help you get disconnected. We'll need to know at least 30 days before you're moving out. We'll let you know if a charge applies for ending your contract early. And it couldn't be easier to take us with you. We just need the details about where you're going at least 30 days before your move so we can get the ball rolling. You can continue on your current services (and contract), or, if you want, you can choose to upgrade. Your account number (found on your bill or ebill). Your current/old and new address. Your moving out date (so we know when to disconnect). Do you want to continue on your current services and contract, or change your services? 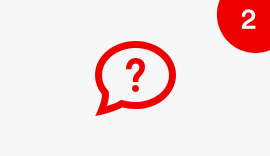 Your installation options may include a Technician visit or, if your new home has had Virgin Media services installed before, you may be able to self-install via QuickStart– we'll go through a number of eligibility questions with you. Unless we tell you otherwise, you should take all your equipment with you to your new home, including your set top boxes, Broadband Hub, home phone, cables and splitters (where required). Review and confirm your order for any newly selected services (only if you choose to upgrade). Enjoy your services just like old times. Because you get to keep the Virgin Media services you love, without the hassle of switching to a different provider. Just the very best services from Virgin Media, as always. Fibre optic broadband from the UK's fastest widely available broadband provider. Fancy average speeds of 362Mbps on our top tier broadband? Simply check out your offers and upgrades for more. These days, amazing TV lives in loads of different places. But with a Virgin TV box, our TV apps and award-winning Virgin Fibre, we give you the best way to experience Virgin TV, at home and beyond. 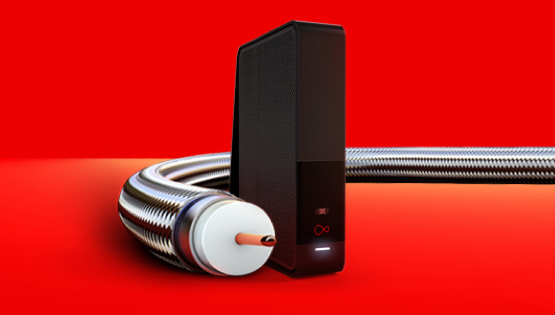 Ready for entertainment, brilliantly connected? VIRGIN MEDIA CABLED STREETS ONLY. Availability subject to survey, network capacity and credit check. Minimum term applies to your service, check basket for details. If you upgrade your service, a new 12 month minimum term will apply. If you cancel during the minimum contract period you will incur an early disconnection fee. Installation: Technician installation fees may apply on certain packages or bundles (starting from £40 for standard install). There is also an activation fee of £20.00, which fee includes £20 activation fee + FREE delivery to store via Click & Collect. For optional home delivery, add £5. QuickStart: only available for broadband to properties that are currently serviceable and have had Virgin Media services previously. Virgin Phone installation will take longer. VIVID 350 Availability: Available in selected areas only – use our postcode checker to see if available in your area yet. Speeds refer to download speeds. Speed achievable by 50% of customers at peak times (8pm,-10pm, Monday-Sunday). External factors can affect speed. Speed assumes equipment is at optimum speed & capacity, device limitations apply. UK's fastest widely available broadband/download speed: Virgin Media vs major UK ISPs advertised max download speeds. Payment may be required in advance. Your first bill includes the charge for the month you join (from the day you join), plus one month in advance. For those joining Virgin Media Add £0.13 a month for non-Direct Debit payment and £1.75 a month for paper bills. Calls may be monitored. Separate contracts apply for your cable service and mobile service. Further Legal Stuff applies. See virginmedia.com. Money back guarantee: The 14-day money back guarantee is available for new cable customers and existing cable customers taking a new service. Call us within 14 days of service activation to cancel and we'll refund the first month's charge and any installation charge. You will only be charged for transactions (calls, texts, purchases, service upgrades) occurring after activation. Statutory rights not affected. *Inclusive servicing/repairs: Excludes misuse/mistreatment. Equipment remains property of Virgin Media. Sky and BT can charge for repairs and replacements outside of warranty. Line Rental Saver: £196 for 12 months' Line Rental must be paid in advance by debit/credit card. Available to new and existing customers with a Virgin Media cable phone line. Call charges apply in accordance with your tariff. Not available with other line rental offers or Home Phone Talk plan offers. If you cancel Line Rental Saver within 14 days of your order you will get a full refund of your advance payment to the debit or credit card you paid with. Otherwise the advance payment is non-refundable.  After 12 months, you will automatically move to standard line rental charges (currently £19.00 a month). Better value: Player TV, Talk Weekends and VIVID 100 for £29 a month compared to VIVID 50 only for £33 a month. Comparison based on advertised max. speeds of Virgin Fibre (VIVID 350) vs BT Infinity 2 and Sky Fibre Max. Speeds referred to are download speeds. Double speed offer: New customers only. Bundle tier doubled. Selected bundles only. Player bundle (VIVID 50 now 100), Mix and Full House bundle (VIVID 100 now 200), Broadband and phone bundles (VIVID 50 now 100) - upgrade normally £5 pm, actual speeds may vary. Offer ends 31st July 2018. VIVID 50 broadband: New customers only. Minimum term applies to your cable service, check basket for details. VIVID 50 fibre broadband (average download speed 54Mbps). £33 a month for 12 months, standard pricing thereafter (currently £33). Broadband only. If you cancel your service during your minimum term an early disconnection fee will apply. If you upgrade any aspect of the service, standard pricing will apply to that upgrade. Virgin Media reserves the right to withdraw or amend the pricing if you change any part of your package. Virgin Media reserves the right to withdraw this offer at any time. Offer may not be used in conjunction with any other offer unless stated by Virgin Media. VIVID 100 broadband: New customers only. Minimum term applies to your cable service, check basket for details. VIVID 100 fibre broadband (average download speed 108Mbps). £38 a month for 12 months, standard pricing thereafter (currently £38). Broadband only. If you cancel your service during your minimum term an early disconnection fee will apply. If you upgrade any aspect of the service, standard pricing will apply to that upgrade. Virgin Media reserves the right to withdraw or amend the pricing if you change any part of your package. Virgin Media reserves the right to withdraw this offer at any time. Offer may not be used in conjunction with any other offer unless stated by Virgin Media. VIVID 200 broadband: New customers only. Minimum term applies to your cable service, check basket for details. VIVID 200 fibre broadband (average download speed 213Mbps). £43 a month for 12 months, standard pricing thereafter (currently £43). Broadband only. If you cancel your service during your minimum term an early disconnection fee will apply. If you upgrade any aspect of the service, standard pricing will apply to that upgrade. Virgin Media reserves the right to withdraw or amend the pricing if you change any part of your package. Virgin Media reserves the right to withdraw this offer at any time. Offer may not be used in conjunction with any other offer unless stated by Virgin Media. VIVID 350 broadband: New customers only. Minimum term applies to your cable service, check basket for details. VIVID 350 fibre broadband (average download speed 362Mbps). £48 a month for 12 months, standard pricing thereafter (currently £48). Broadband only. If you cancel your service during your minimum term an early disconnection fee will apply. If you upgrade any aspect of the service, standard pricing will apply to that upgrade. Virgin Media reserves the right to withdraw or amend the pricing if you change any part of your package. Virgin Media reserves the right to withdraw this offer at any time. Offer may not be used in conjunction with any other offer unless stated by Virgin Media. VIVID 50 broadband and phone: New customers only. Minimum term applies to your cable service, check basket for details. VIVID 50 fibre broadband (average download speed at peak 54Mbps) and Talk Weekends. £29 a month for 12 months, standard pricing thereafter (currently £40). Price includes line rental (£19 per month). Average speed is speed achievable by 50% of customers at peak times (8pm-10pm, Monday-Sunday), April 2018. If you cancel your service during your minimum term an early disconnection fee will apply. Downgrading a service in your bundle may result in loss of bundle discount. If you upgrade any aspect of the service, standard pricing will apply to that upgrade. Virgin Media reserves the right to withdraw or amend the pricing if you change any part of your package. Virgin Media reserves the right to withdraw this offer at any time. Offer may not be used in conjunction with any other offer unless stated by Virgin Media. VIVID 100 broadband and phone: New customers only. Minimum term applies to your cable service, check basket for details. VIVID 100 fibre broadband (average download speed 108Mbps) and Talk Weekends. £29 a month for 12 months, standard pricing thereafter (currently £45). Price includes line rental (£19 per month). If you cancel your service during your minimum term an early disconnection fee will apply. Downgrading a service in your bundle may result in loss of bundle discount. If you upgrade any aspect of the service, standard pricing will apply to that upgrade. Virgin Media reserves the right to withdraw or amend the pricing if you change any part of your package. Virgin Media reserves the right to withdraw this offer at any time. Offer may not be used in conjunction with any other offer unless stated by Virgin Media. VIVID 200 broadband and phone: New customers only. Minimum term applies to your cable service, check basket for details. VIVID 200 fibre broadband (average download speed at peak 213Mbps) and Talk Weekends. £39 a month for 12 months, standard pricing thereafter (currently £50). Price includes line rental (£19 per month). Average speed is speed achievable by 50% of customers at peak times (8pm-10pm, Monday-Sunday), April 2018. If you cancel your service during your minimum term an early disconnection fee will apply. Downgrading a service in your bundle may result in loss of bundle discount. If you upgrade any aspect of the service, standard pricing will apply to that upgrade. Virgin Media reserves the right to withdraw or amend the pricing if you change any part of your package. Virgin Media reserves the right to withdraw this offer at any time. Offer may not be used in conjunction with any other offer unless stated by Virgin Media. VIVID 350 broadband and phone: New customers only. Minimum term applies to your cable service, check basket for details. VIVID 350 fibre broadband (average download speed at peak 362Mbps) and Talk Weekends. £44 a month for 12 months, standard pricing thereafter (currently £55). Price includes line rental (£19 per month). Average speed is speed achievable by 50% of customers at peak times (8pm-10pm, Monday-Sunday), April 2018. If you cancel your service during your minimum term an early disconnection fee will apply. Downgrading a service in your bundle may result in loss of bundle discount. If you upgrade any aspect of the service, standard pricing will apply to that upgrade. Virgin Media reserves the right to withdraw or amend the pricing if you change any part of your package. Virgin Media reserves the right to withdraw this offer at any time. Offer may not be used in conjunction with any other offer unless stated by Virgin Media. Player bundle: New customers only. Player TV, VIVID 100 fibre broadband (average download speed 108Mbps) and Talk Weekends. £29 a month for 12 months. Price includes line rental (£19 per month). Standard monthly pricing (currently £48 per month) applies from month 13. Premium add-ons such as Sky Cinema are available at extra monthly cost. If you cancel your service during your minimum term an early disconnection fee will apply. Downgrading a service in your bundle may result in loss of bundle discount. If you upgrade any aspect of the service, standard pricing will apply to that upgrade. Virgin Media reserves the right to withdraw or amend the pricing if you change any part of your package. Virgin Media reserves the right to withdraw this offer at any time. Offer may not be used in conjunction with any other offer unless stated by Virgin Media. Mix bundle: New customers only. Mix TV, VIVID 200 fibre broadband (average download speed 213Mbps) and Talk Weekends. £45 a month for 12 months. Price includes line rental (£19 per month). Standard monthly pricing (currently £60 per month) applies from month 13. Premium add-ons such as Sky Cinema are available at extra monthly cost. If you cancel your service during your minimum term an early disconnection fee will apply. Downgrading a service in your bundle may result in loss of bundle discount. If you upgrade any aspect of the service, standard pricing will apply to that upgrade. Virgin Media reserves the right to withdraw or amend the pricing if you change any part of your package. Virgin Media reserves the right to withdraw this offer at any time. Offer may not be used in conjunction with any other offer unless stated by Virgin Media. Full House bundle: New customers only. Full House TV, VIVID 200 fibre broadband (average download speed 213Mbps) and Talk Weekends. £55 a month for 12 months. Price includes line rental (£19 per month). Standard monthly pricing (currently £75 per month) applies from month 13. Premium add-ons such as Sky Cinema & Sky Sports are available at extra monthly cost. If you cancel your service during your minimum term an early disconnection fee will apply. Downgrading a service in your bundle may result in loss of bundle discount. If you upgrade any aspect of the service, standard pricing will apply to that upgrade. Virgin Media reserves the right to withdraw or amend the pricing if you change any part of your package. Virgin Media reserves the right to withdraw this offer at any time. Offer may not be used in conjunction with any other offer unless stated by Virgin Media. Full House 100 bundle: New customers only. Full House TV, VIVID 100 fibre broadband (average download speed 108Mbps) and Talk Weekends . £55 a month for 12 months. Price includes line rental (£19 per month). Standard monthly pricing (currently £70 per month) applies from month 13. Premium add-ons such as Sky Cinema & Sky Sports are available at extra monthly cost. If you cancel your service during your minimum term an early disconnection fee will apply. Downgrading a service in your bundle may result in loss of bundle discount. If you upgrade any aspect of the service, standard pricing will apply to that upgrade. Virgin Media reserves the right to withdraw or amend the pricing if you change any part of your package. Virgin Media reserves the right to withdraw this offer at any time. Offer may not be used in conjunction with any other offer unless stated by Virgin Media. Full House Movies bundle: New customers only. Full House TV, VIVID 200 fibre broadband (average download speed 213Mbps) and Talk Weekends. £65 a month for 12 months. Price includes line rental (£19 per month). Standard monthly pricing (currently £90 per month) applies from month 13. Offer ends May 31st 2018. Premium add-ons such as Sky Sports are available at extra monthly cost. If you cancel your service during your minimum term an early disconnection fee will apply. Downgrading a service in your bundle may result in loss of bundle discount. If you upgrade any aspect of the service, standard pricing will apply to that upgrade. Virgin Media reserves the right to withdraw or amend the pricing if you change any part of your package. Virgin Media reserves the right to withdraw this offer at any time. Offer may not be used in conjunction with any other offer unless stated by Virgin Media. Full House Sports bundle: New customers only. Full House TV, VIVID 200 fibre broadband (average download speed at peak 213Mbps) and Talk Weekends. £62 a month for 12 months. Price includes line rental (£19 per month). Standard monthly pricing (currently £100 per month) applies from month 13. Premium add-ons such as Sky Cinema are available at extra monthly cost. Average speed is speed achievable by 50% of customers at peak times (8pm-10pm, Monday-Sunday). £156 savings claim based on comparison with standard price of £75 a month, saving over life of contract. If you cancel your service during your minimum term an early disconnection fee will apply. Downgrading a service in your bundle may result in loss of bundle discount. If you upgrade any aspect of the service, standard pricing will apply to that upgrade. Virgin Media reserves the right to withdraw or amend the pricing if you change any part of your package. Virgin Media reserves the right to withdraw this offer at any time. Offer may not be used in conjunction with any other offer unless stated by Virgin Media. Full House Sports and Movies bundle: New customers only. Full House TV, VIVID 200 fibre broadband (average download speed at peak 213Mbps) and Talk Weekends. £82 a month for 12 months. Price includes line rental (£19 per month). Standard monthly pricing (currently £110 per month) applies from month 13. Premium add-ons are available at extra monthly cost. Average speed is speed achievable by 50% of customers at peak times (8pm-10pm, Monday-Sunday), April 2018. If you cancel your service during your minimum term an early disconnection fee will apply. Downgrading a service in your bundle may result in loss of bundle discount. If you upgrade any aspect of the service, standard pricing will apply to that upgrade. Virgin Media reserves the right to withdraw or amend the pricing if you change any part of your package. Virgin Media reserves the right to withdraw this offer at any time. Offer may not be used in conjunction with any other offer unless stated by Virgin Media. VIP bundle: New customers only. 12 month minimum term applies (including if you upgrade from a lower package). Full House TV, Sky Cinema and Sky Sports (including in HD), VIVID 350 fibre broadband (average download speed 362Mbps) (available with VIVID 200 where VIVID 350 is not available) and Talk More Anytime. £79 a month for 12 months. Price includes line rental (£19 per month). Standard monthly pricing (currently £125 per month) applies from month 13. Premium add-ons are available at extra monthly cost. £108 savings claim based on comparison with standard price of £88 a month, saving over life of contract. Average speed is speed achievable by 50% of customers at peak times (8pm -10pm, Monday-Sunday). If you cancel your service during your minimum term an early disconnection fee will apply. Downgrading a service in your bundle may result in loss of bundle discount. If you upgrade any aspect of the service, standard pricing will apply to that upgrade. Virgin Media reserves the right to withdraw or amend the pricing if you change any part of your package. Virgin Media reserves the right to withdraw this offer at any time. Offer may not be used in conjunction with any other offer unless stated by Virgin Media. 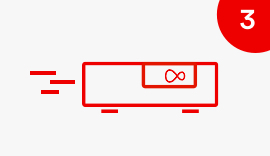 Virgin TV V6 box: There is a £99.95 fee for existing customers taking their first Virgin TV V6 plus £20 set up fee. Virgin TV V6 box free to new customers taking their first Virgin TV V6, but the £20 set up fee applies. 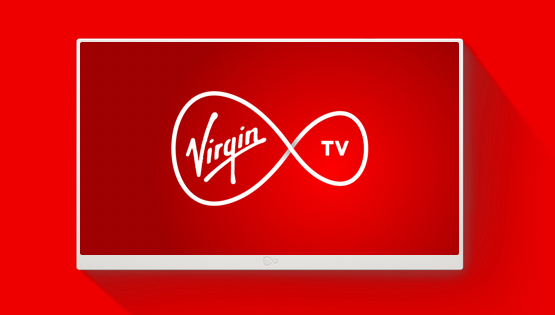 New VIP customers get second Virgin TV V6 box for free (plus £20 set up fee). Additional Virgin TV V6 boxes are available for £49.95 plus £20 set up fee. Premium channels (add-ons): 30 days’ notice required to remove premium channels/packs. Sky Sports SD subscription required to take these channels in HD. Sky Cinema Premiere +1 not available in HD. HD: HD TV sets, V HD Box, TiVo box or Virgin TV V6 connected with HDMI cables required for HD channels. V6 requires a TV/ Display with an HDMI input. Number of inclusive HD channels depends on package. Sky Cinema & Sky Sports apps: Only available via the Sky Cinema and Sky Sports websites or apps (for selected iOS and Android mobiles and tablets) to customers who subscribe to these channels. UK only (or while temporarily in EU). Maximum 2 devices. Only available on iOS 8 and above, and Android 4.x. Selected content may not be available to view. Separate terms and conditions apply to the Sky Cinema and Sky Sports apps and websites. Box to box streaming: If you are using Powerline, subject to your household electrics supporting the required network speed. TiVo: The monthly TiVo charge is £5 per TiVo box (on top of your Player TV, Mix TV, Fun TV or Full House TV package’). Content available to view depends on your TV package. TiVo box remains property of Virgin Media. Series Link +: TiVo only. Not all services and apps are available via Search. Search will only bookmark content available on TiVo platform. Box sets: Available to Full House (XL) customers on TiVo only. Content is variable and shows/series will be added and withdrawn monthly. 12 months discount - New customers only: From £5.50 off cable bundle price a month, for 12 months. Price includes line rental (£19 per month). If you cancel during your minimum term an early disconnection fee will apply. Direct Debit and eBill price. Add up to 45p a month payment handling fee for non-Direct Debit payments and £1.75 a month for paper bills. Downgrading a service in your bundle may result in loss of bundle discount. If you upgrade any aspect, standard pricing applies to upgrade. We may withdraw or amend the discount if you change any part of your package. Virgin Media reserves the right to withdraw this offer at any time. Offer may not be used in conjunction with any other offer unless stated by Virgin Media. Speeds refer to download speeds unless stated otherwise. External factors can affect speed. Speed assumes equipment is at optimum speed & capacity, device limitations apply. VIVID 350 (average speed 362Mbps): Call us or use our availability checker at http://www.virginmedia.com/cablemystreet/ to see if VIVID 350 is available in your area. If not, VIVID 200 (average speed 213Mbps) is the highest speed available. VIVID 350 has 95% availability on the Virgin Media network. F-Secure: New F-Secure customers only. One subscription per Virgin Media customer. Not available on BlackBerry. Current retail price £79.99, see https://onlineshop.f-secure.com. Up to 5 devices. Unlimited broadband: No traffic management and no monthly data usage allowance. See virginmedia.com/traffic for details of usage policies and factors that can affect your broadband speed. External factors such as internet congestion can affect speed. Unlimited downloads: Upload speeds may be affected by external factors such as internet congestion can affect speed. (No traffic management measures.) See virginmedia.com/traffic for details of our policy and factors that can affect your broadband speeds. Speeds assume equipment is at optimum speed and capacity, device limitations apply. Average speed 54Mbps: "Regular Broadband": (ADSL2+ over 10Mbps, excludes fibre products) average peak time speed of 8.4Mbps. Virgin Media peak average peak time speed of 54Mbps. Speed achievable by 50% of customers at peak times (8pm-10pm, Monday-Sunday). See virginmedia.com/ourspeeds for details. 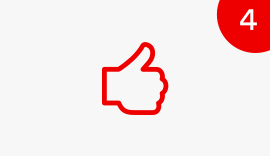 Virgin Media WiFi: [For cable customers only – for mobile legal line see mobile section] App requires iOS 8 or later or Android version 4.3 or later. Available to Virgin Fibre customers on max.7 registered devices. WiFi connection required. UK only. Experience varies by location and number of users. Terms and conditions apply. Web Safe: Available to all new Virgin Fibre customers who signed up after 27th February 2014. Web Safe will automatically be set to on for customers joining Virgin Fibre after 16 May 2018. Users can change their settings at any time in My Virgin Media. Web Safe is notautomatically set to on for customers joining before this date. Web Safe does not block all unsafe or inappropriate online content and is intended only to assist parents with keeping their family safe online. Virgin Media accepts no responsibility for personal online activity. #4K: Requires 4K-compatile TV/device. 4K content not currently available on Virgin TV channels. Some platforms like Netflix and YouTube offer 4K, which can be viewed on your TV if you have a Virgin TV V6 box. More of the speeds we advertise: Ofcom UK Home broadband performance, published April 2018. Talk More Weekends: Zero-rated tariff applies to the first hour of direct-dialled local and national geographic voice calls only (numbers beginning 01, 02 and 03), UK mobile numbers, 0870 and 0845 numbers starting within the weekend (all day Saturday and Sunday) periods. Excludes indirect access, dial-up internet, other non-geographic numbers, 070 Personal Numbering, and 076 Paging charge-bands. UK mobiles consist of numbers routed through the UK by a UK mobile operator. Mobile numbers routed outside the UK will incur a charge. Re-dial before 60 minutes to avoid call charges. Calls over 60 minutes will be charged at standard rates, except for calls to mobiles which will be charged at 5p per minute. Charges apply outside of inclusive minutes Fair usage policy applies. Inclusive 0870 and 0845 numbers subject to a limit of 1000 minutes or 150 calls per rolling 30 day period. Full details of call charges/connection fees set out in our Tariff Guide at virginmedia.com/callcosts. Talk More Evenings & Weekends: Zero-rated tariff applies to the first hour of direct-dialled local and national geographic voice calls only (numbers beginning 01, 02 and 03), UK mobile numbers, 0870 and 0845 numbers starting within the evening (7pm to 7am) and weekend (all day Saturday and Sunday) periods. Excludes indirect access, dial-up internet, other non-geographic numbers, 070 Personal Numbering, and 076 Paging charge-bands. UK mobiles consist of numbers routed through the UK by a UK mobile operator. Mobile numbers routed outside the UK will incur a charge. Re-dial before 60 minutes to avoid call charges. Calls over 60 minutes will be charged at standard rates, except for calls to mobiles which will be charged at 5p per minute. Charges apply outside of inclusive minutes Fair usage policy applies. 0870 and 0845 numbers subject to a shared limit of 1000 minutes or 150 calls per rolling 30 day period. Full details of call charges/connection fees set out in our Tariff Guide at virginmedia.com/callcosts. Talk More Anytime: Zero-rated tariff applies to the first hour of direct-dialled local and national geographic voice calls only (numbers beginning 01, 02 and 03), UK mobile numbers, 0870 and 0845 numbers. Excludes indirect access, dial-up internet, other non-geographic numbers, 070 Personal Numbering, and 076 Paging charge-bands. UK mobiles consist of numbers routed through the UK by a UK mobile operator. Mobile numbers routed outside the UK will incur a charge. Re-dial before 60 minutes to avoid call charges. Calls over 60 minutes will be charged at standard rates, except for calls to mobiles which will be charged at 5p per minute. Charges apply outside of inclusive minutes Fair usage policy applies. 0870 and 0845 numbers subject to a shared limit of 1000 minutes or 150 calls per rolling 30 day period. Full details of call charges/connection fees set out in our Tariff Guide at virginmedia.com/callcosts. Talk More International Anytime: Zero-rated tariff applies to the first hour of direct-dialled UK local and national geographic voice calls only (numbers beginning 01, 02 and 03), UK mobile numbers, 0845 and 0870, and other numbers beginning with 08, and calls to 30 international landline destinations as follows - Australia, Austria, Belgium, Canada, China, Cyprus, Denmark, France, Germany, Greece, Hong Kong, Hungary, India, Ireland, Israel, Italy (including Vatican City), Japan, Luxembourg, Malaysia, Netherlands, New Zealand, Norway, Poland, Portugal, Singapore, Spain, Sweden, Switzerland, Thailand and USA (also includes calls to mobiles in China, India, Singapore and Thailand). Excludes indirect access, dial-up internet, other non-geographic numbers, 070 Personal Numbering, and 076 Paging charge-bands. UK mobiles consist of numbers routed through the UK by a UK mobile operator. Mobile numbers routed outside the UK will incur a charge. Re-dial before 60 minutes to avoid call charges. Calls over 60 minutes will be charged at standard rates, except for calls to mobiles which will be charged at 5p per minute. Charges apply outside of inclusive minutes Fair usage policy applies. 08 numbers subject to a limit of 1000 minutes or 150 calls per rolling 30 day period. Full details of call charges/connection fees set out in our Tariff Guide at virginmedia.com/callcosts. Home Phone: *Talk Weekends: Zero-rated tariff applies to the first hour of direct-dialled local and national geographic voice calls only (numbers beginning 01, 02 and 03), Virgin Mobile numbers and 0870 numbers starting within the weekend (all day Saturday and Sunday) periods. Excludes 0845 numbers. +Talk More Anytime: Zero-rated tariff applies to the first hour of direct-dialled local and national geographic voice calls only (numbers beginning 01, 02 and 03), UK mobile numbers, 0870 and 0845 numbers. Home Phone General: Excludes indirect access, dial-up internet, other non-geographic numbers, 070 Personal Numbering, and 076 Paging charge-bands. Re-dial before 60 minutes to avoid call charges. Calls over 60 minutes will be charged at standard rates, except for calls to mobiles which will be charged at 5p per minute. Charges apply outside of inclusive minutes Fair usage policy applies. 0870 and 0845 numbers subject to a shared limit of 1000 minutes or 150 calls per rolling 30 day period. Full details of call charges/connection fees set out in our Tariff Guide at virginmedia.com/callcosts. Line Rental Saver: £196 for 12 months' Line Rental must be paid in advance by debit/credit card. Available to new and existing customers with a Virgin Media cable phone line. You can make this payment by calling our free automated service on 0800 0643840. Line Rental Saver can only be added once your phone line has been activated. Not available with other line rental offers or Home Phone Talk plan offers. If you cancel Line Rental Saver within 14 days of your order you will get a full refund of your advance payment to the debit or credit card you paid with. Otherwise the advance payment is non-refundable. After 12 months, you will automatically move to standard line rental charges (currently £19.00 a month). µ Calls to Mobile numbers: Unlimited calls to Mobile numbers in the UK are included if mobile numbers have been active in the previous 90 days (i.e. a chargeable call, text or data session has been made). Call categories are aligned with your home phone talk plan. Re-dial before 60 minutes to avoid call charges. Fair usage policy applies. UK mobiles consist of numbers routed through the UK by a UK mobile operator. Mobile numbers routed outside the UK will incur a charge. Talk Mobile £2: Available as an add-on with Talk Weekends, Talk More Weekends and Talk More Evenings and Weekends. Talk Mobile telephone tariffs apply for those customers paying the additional Talk Mobile £2 monthly subscription. Full details of call charges and connection fees are set out in our Tariff Guide, which can be viewed at: virginmedia.com/callcosts. All calls are subject to a call connection fee of 19 pence. Discounted and inclusive mobile calls are to all UK mobiles, excluding other services beginning with 07, such as Personal Numbering, Mobile WiFi or Paging services etc. UK mobiles consist of numbers routed through the UK by a UK mobile operator. Mobile numbers routed outside the UK will incur a charge. You must keep your Talk Mobile package for at least 30 days. Further terms and conditions apply, see virginmedia.com for details. 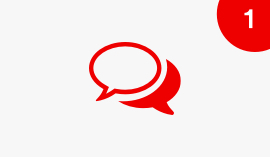 ϪTalk International £2: Available as an add-on with a Virgin Talk plan except Talk More International Anytime or certain older Talk Plans. Talk International £2 call charges apply for those customers paying the additional Talk International £2 monthly subscription. Full details of call charges and connection fees are set out in our Tariff Guide, which can be viewed at: virginmedia.com/callcosts. Where there is no call charge specified the landline charge will apply. All calls are subject to a call connection fee of 19 pence. You must keep your Talk International £2 package for at least 30 days. Further terms and conditions apply, see virginmedia.com for details. Talk Asia 300: Provides 300 inclusive anytime minutes of calls per rolling 30 day period to geographic landlines and mobiles in India, Pakistan and Bangladesh. Excludes indirect access, dial-up internet, non-geographic numbers and special calls. Charges apply outside of inclusive minutes. Fair usage policy applies. Full details of call charges and connection fees are set out in our Tariff Guide, which can be viewed at: virginmedia.com/callcosts. Number transfer: Number transfer subject to availability. Where you have requested to keep your existing phone number, if your number has not been ported over within 24 hours of the activation date, you might be entitled to compensation. To find out more, just get in touch with our team on 150 for free from your Virgin Media phone or 0345 141 0111 from another line. For details about how much it costs to call our team, view our calling costs page.